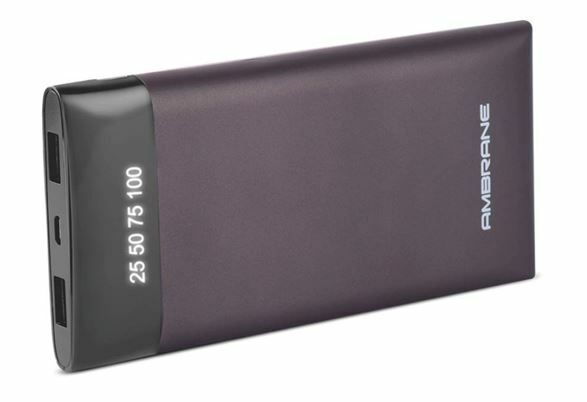 Ambrane, the Indian mobile accessories and computer peripherals brand extended its Power bank series with an addition of PP10 Plush Series power bank. 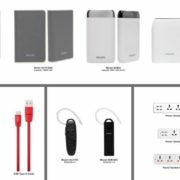 The new Plush power bank comes with a capacity of 10000mAh. It Priced at MRP 2499/. 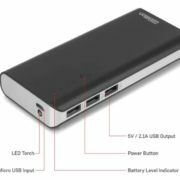 The Power bank is meant for charging multiple devices and offered 2 USB charging ports to charge two devices simultaneously. It automatically adjusts the output according to the device and due to that, it can a give conversion rate of 80 percent. 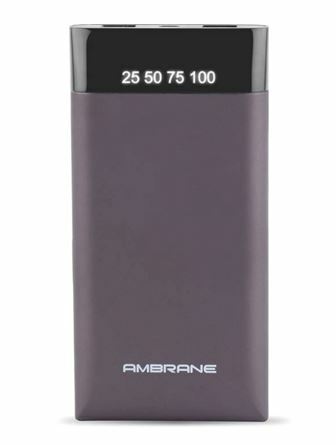 According to the company, the Ambarne PP10 Plush can charge a smartphone on an average 3-4 times in a single charge. Also, they mentioned that it has the ability to cater 500 power cycles in its lifetime beginning a new battle in Power. Furthermore, the Plush PP10 features Digital charging display to show the status of charge left in the power bank. 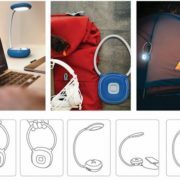 It uses a polymer battery and has a sturdy design that allows users to carry it in outdoor activities, said by the company. 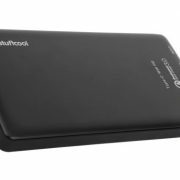 It uses 9 layers of advanced chipset protection and features BIS Certified including Short Circuit Protection, Over-charge Protection, and Over Discharge Protection & Over Voltage Protection, that assures maximum user and device safety at all times. It is available in two colors Black and Grey on leading retail and etail stores across India.